Home was decorated so nicely and professional yet homey. Rooms were so clean and aired out, Siobhan was so kind even ran some supplies over when we were low. Would definitely stay there again. Clean modern house. Kitchen ha everything we needed. On arrival we were met by Siobhan who gave us an overview of the house and amenities. The house exceeded our expectation and is beautiful. Lots of room for the 5 of us, and child friendly for our 2 year old. Everything you need is provided - from milk to toilet rolls. The kitchen has all the utensils that you would have at home. Shower warmed up quickly, and all the house was spotless. Close to Derry city centre. We had a hire car but often took a taxi to Derry which was very cheap compared to Birmingham prices. Will stop here again for sure! The beds were really comfy, wifi excellent, communication with host Siobhan was brilliant. House perfect location for us. Perfect property for our group of 2 adults and four children. It had all the facilities we needed and the owner was kind enough to organise a bbq for us so we could make the most of the great weather. Great location for visting west Derry and east Donegal with easy access to adventure and activity centers, beaches, etc. The milk and biscuits for our arrival were a lovely touch. We thoroughly enjoyed our stay and it really did feel like a home away from home. Thank you Siobhan! Owner apologied for not meeting me personally,explained how to get keys not a problem. House was so cosy and homely they supplied everything you needed for a self catering house. Great location for the city,parking in the driveway. They have a black folder full of useful information local takeaway menus. Could not fault it. The location of the house is great. Very quiet place with easy access to the City just 5 mins away. The house is beautiful decorated and the rooms are very clean. The house has all the necessary gadgets for a comfortable stay. Siobhan was very helpful and reliable, always on the other side of the phone in case we needed her. Home away from home! Warm, spacious, located in a fabulous spot, quiet and easy to get to town. Couldn’t recommend this home more highly for a family visit by car. There was a folder containing all the essential information which was just great! Thank you! The house is beautifully decorated and there were lots of handy things around the home if you forgot to bring anything e.g. toiletries. The kitchen is well stocked with cooking utensils and the beds were super comfy! Check in was straight forward too. Highly recommend this beautiful home from home! Lock in a great price for Mullenan House – rated 9.6 by recent guests! Located in Derry Londonderry, just 4.1 miles from Guildhall, Mullenan House provides accommodations with a terrace and free WiFi. Housed in a building dating from 1960, this vacation home is 3.8 miles from the St. Columbs Cathedral. Featuring mountain views, the vacation home features a flat-screen TV with satellite channels, a seating area, a closet and 1 bathroom. The kitchen has an oven and a microwave. The Diamond is 4 miles from the vacation home, while Free Derry Corner is 3.6 miles from the property. 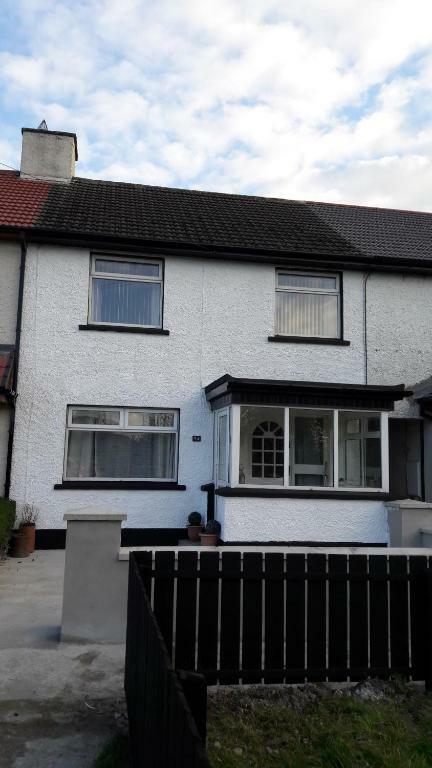 The nearest airport is City of Derry Airport, 12 miles from the property. This property is also rated for the best value in Derry Londonderry! Guests are getting more for their money when compared to other properties in this city. 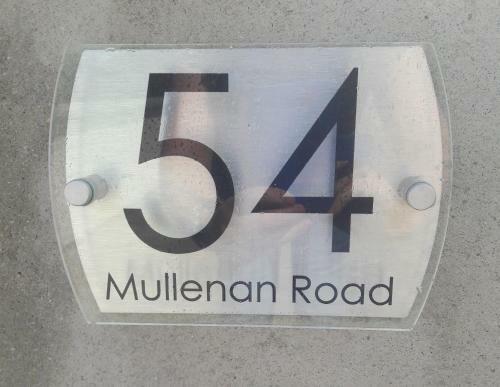 When would you like to stay at Mullenan House? This holiday home has a stovetop, microwave and toaster. Our self catering property is only a 5 min drive alongside the River Foyle from Derry City Centre where you'll find lots of good restaurants, bars, parks & cultural venues. We are very close to the border with Donegal leaving it an ideal base for tourists. You’ll love our house because of its quiet location, rural views, open fire, cleanliness and ambiance as well as its close proximity to the city centre. This house is suitable for couples, business people and family/friends groups. The property sleeps 7 people comfortably in 2 double rooms, 1 single room and a sofa bed in the living room. Prices are per night. Towels and linen provided plus tea, coffee, sugar, milk and biscuits. If arriving late it may be advisable to pick up provisions in Derry prior to arriving. Open plan living/dining room with kitchen separate. Flat screen television in living room. Bathroom downstairs with bath and over bath electric shower. Guests have access to entire property and will be met by hosts to show them around or can choose to use self check-in via keysafe. Private parking spaces to front and closed in concrete backyard to rear with secure shed were guests can store bicycles or motorcycles. My husband and I recently retired from long careers in the Health Service, which has left us with plenty of spare time on our hands. As we ourselves have enjoyed numerous self-catering breaks away we decided to embark on this new self-catering venture in our local area. 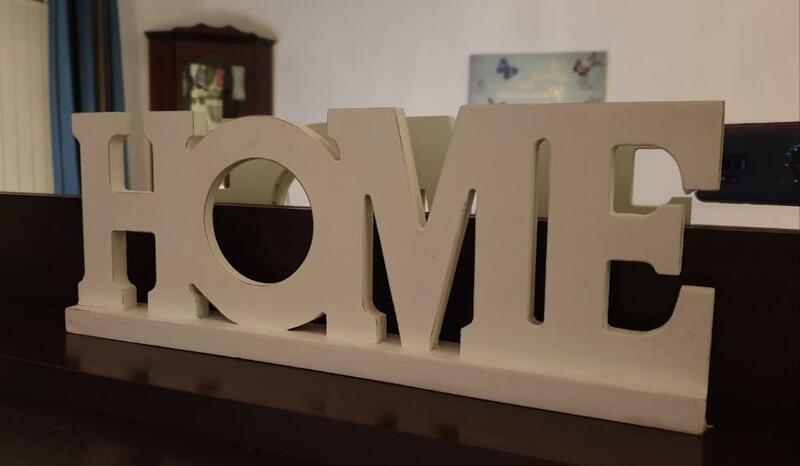 We have lots of experience hosting guests, as we previously ran a very busy, successful Bed & Breakfast business in Derry city centre for many years. We are very passionate about what we do and will look forward to hosting you and your friends/family, promising to try to make your stay at Mullenan House as comfortable and enjoyable as possible. Mullenan House self-cating accommodation is located in a terrace row of only 6 houses in a quiet friendly neighborhood just a 5 minute drive from Derry City Centre along the beautiful scenic banks of the River Foyle. We are located just about a mile from the Donegal border which makes it an ideal location to explore both the historic city of Derry and the beautiful scenic County of Donegal. Our neighbours are both friendly and helpful. From our back windows there are beautiful views of the countryside and rolling hills. You will not be disappointed with this accommodation as you will see by the many positive reviews. House Rules Mullenan House takes special requests – add in the next step! Please inform Mullenan House of your expected arrival time in advance. You can use the Special Requests box when booking, or contact the property directly using the contact details in your confirmation. Fold out bed was very small &not comfortable. It was a few miles away from local ammenities. Nothing really! It is a few miles from Derry but doesn't cost much in a taxi and was nice to have the contrast of fields and lovely view! House was a great location. It was cosy and had everything you needed. The house is big，clean and comfortable. Highly recommend! Thank you!